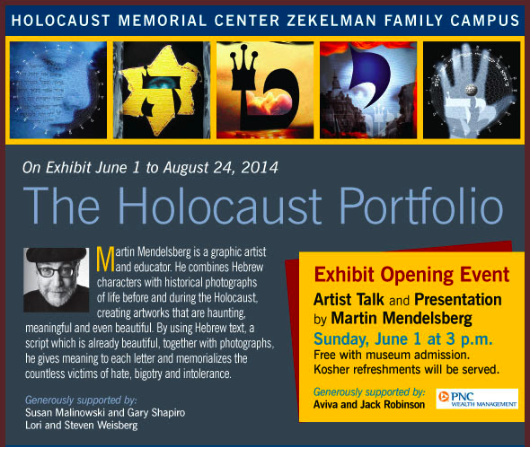 Holocaust Memorial Center, Farmington Hills, MI. Mendelsberg combines Hebrew characters with historical photographs of life before and during the Holocaust. He gives meaning to each letter and memorializes the victims.